The Four Affirmations. Meditate with Yogi Bhajan! 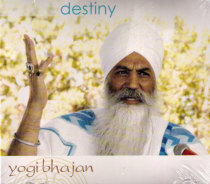 The only recording of its kind, this two volume CD contains four affirmations in English by the Master of Kundalini Yoga, Yogi Bhajan. Recite and meditate along with the Naad.